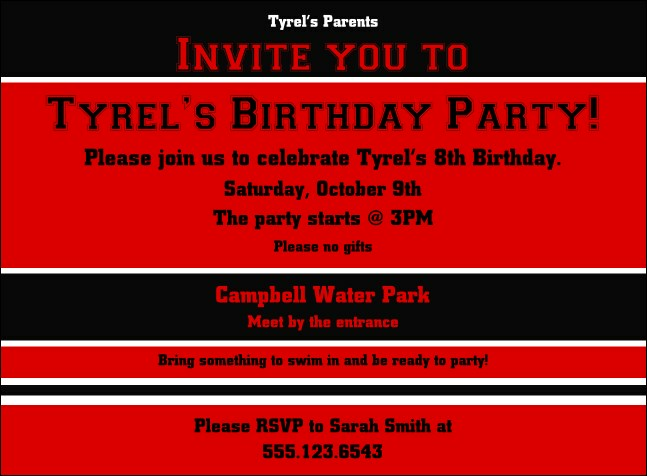 A full bleed invitation with red and black colors in the background. This invitation template is easy to customize for any type of sporting event. This invitation is 4.16" x 5.65".